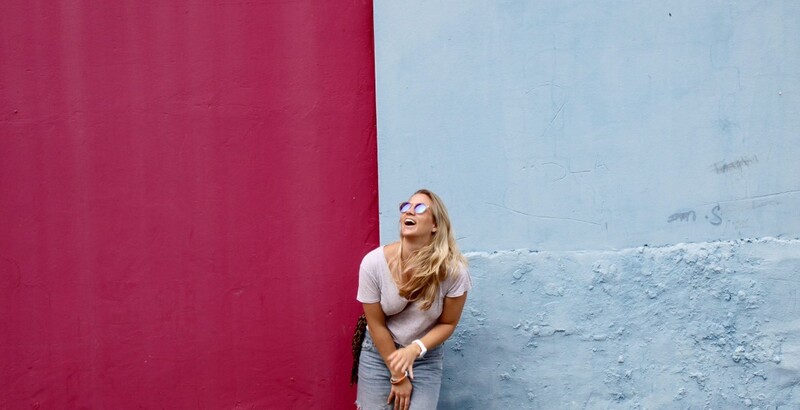 A colourful guide to the mother city. 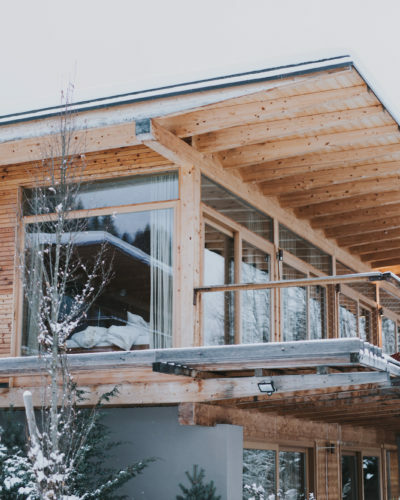 We wake up in the Lézard Bleu Guest House owned by German couple Nikola and Christoph, who are really passionate about running this well-located B&B place in the middle of Oranjezicht. With the sun shining bright, we jump out of bed and straight into our running shoes, pack a big bottle of water, and set off to climb the Lion’s Head. We try and get out quite early, since it can get hot and crowded in peak season. 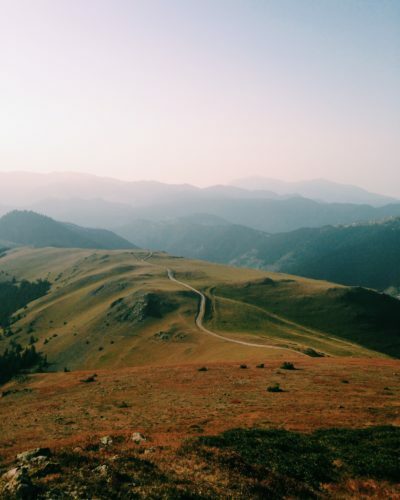 After 35-45 minutes hiking (depending on your level of fitness) you’ll arrive at 669 metres above sea level, where a 360-degree view over the city is waiting for you. 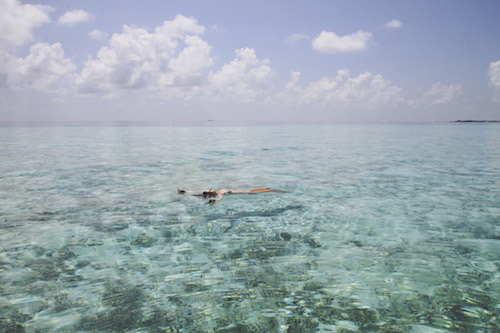 Catch your breath, listen to your favourite songs, and enjoy yourself. Carina is not a big fan of climbing downhill, so most of the time Ramin is probably telling some weird and cute stories to make her laugh and not realize she’s hiking down. 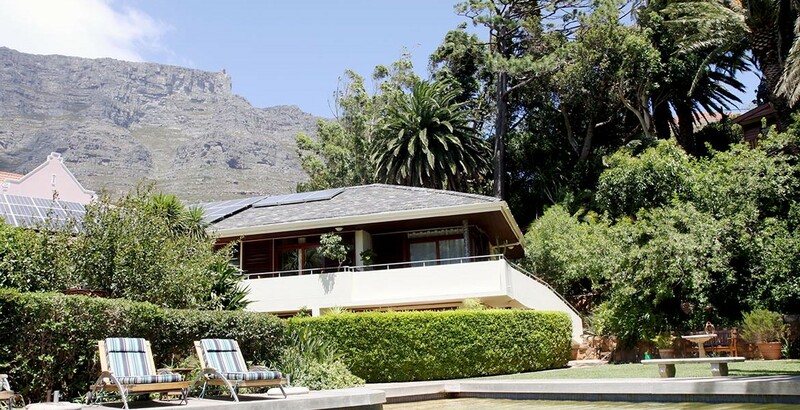 We make our way back to our room, change into a bikini and shorts, and dip into the beautiful pool, enjoying floating in the water while looking up at the iconic Table Mountain. After our morning workout, it’s time to grab some breakfast to fuel up. Christoph, the owner of the guest house welcomes every guest by name and serves us a good breakfast with homemade delicacies before we set out for an adventure in the mother city. If we’re up for heading out for breakfast we love to go to Manna Epicure, where we eat the salmon, avocado, and coconut bread breakfast with poached eggs. It might sound a little exotic, but it’s worth trying! Well fed, we stroll along Kloof Street into the city, trying to avoid the main streets and go beyond high street, where we’ll find some hidden jewels. 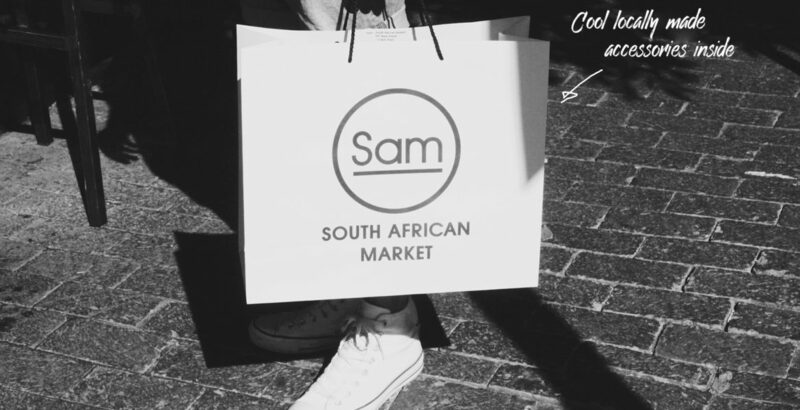 The SAM – South African Market is a perfect place to stop if you want to shop for beautiful locally-made products from African designers. Get at least one pair of colourful FEAT Socks as a souvenir from Cape Town (Ramin loves them!). And if you’re in need of a quick coffee or snack, head to Jason Bakery. After some shopping we go to Bo-Kaap, formerly known as the Malay Quarter on Signal Hill, and spiritual home of the Cape’s Muslim community. We stroll along the streets, enjoy the multicultural flair, and take an enormous amount of pictures in front of the cheery colourful houses. 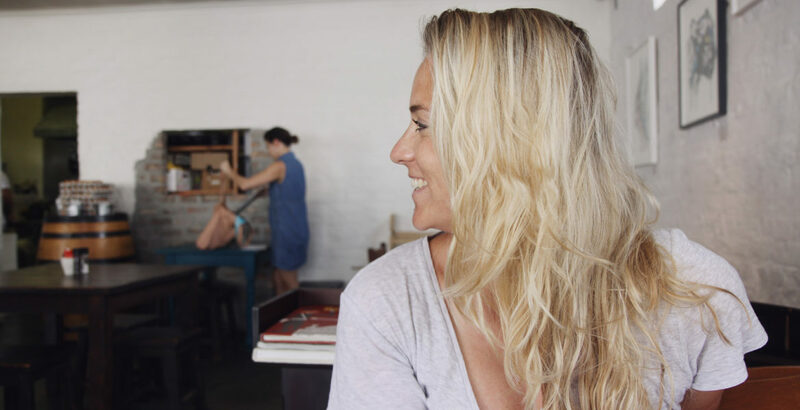 In the late afternoon we either go to The Roundhouse to watch the sunset or drop by Yours Truly Café & Bar on Kloof Street to have a drink with a very relaxed crowd. As the day comes to an end, we’re thinking about food again and head to The Black Sheep for a relaxed and delicious dinner. If you’re a meat lover, put Carne on your list and drop by for a piece of juicy meat. 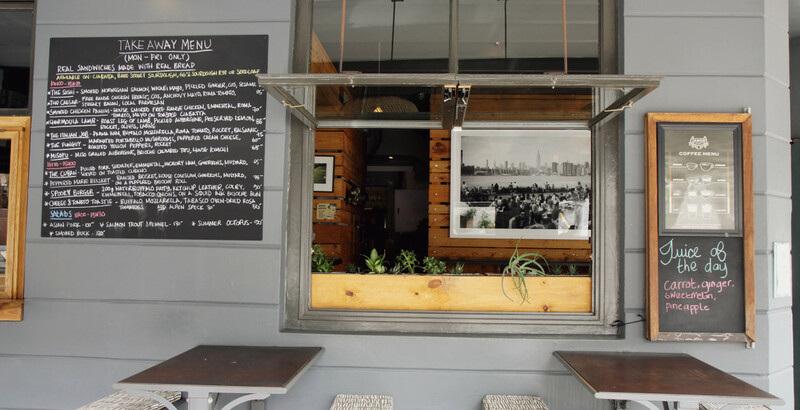 Kloof Street House is another great dinner spot – try their tasty burger and their heavenly fondant au chocolat. Happy and fulfilled we walk home, making plans for tomorrow’s tour to the Cape of Good Hope. Lovely and well-located B&B in the middle of Oranjezicht, owned by German couple, Nikola and Christoph, who are really passionate about running their guest house. Warm and welcoming! This district is located at the bottom of Table Mountain. The houses are very popular because of the view. The perfect hike for a 360-degree view over the city. Great for sunrises and sunsets. 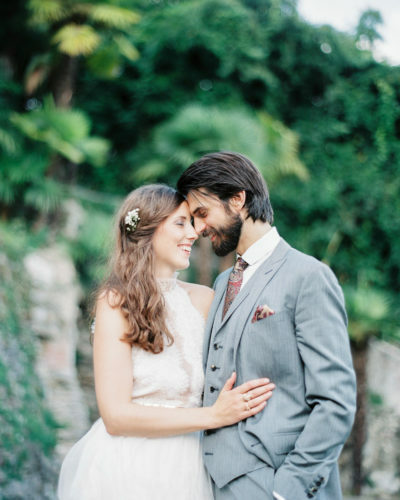 One of our favourite spots in Cape Town. 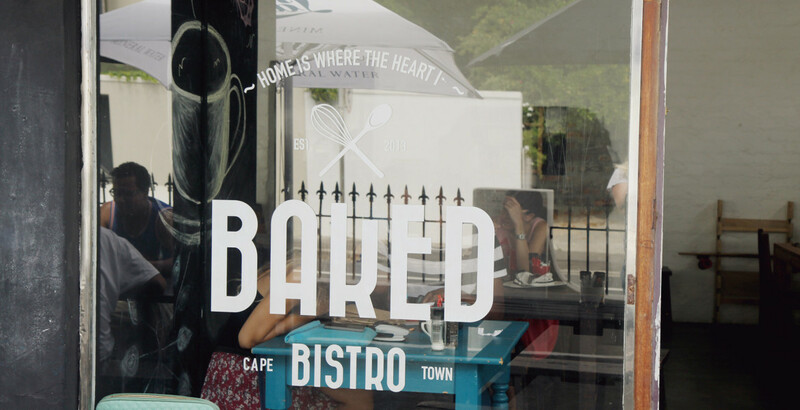 Located on Kloof Street, this spot is suitable for all occasions – whether you want to enjoy a good breakfast, a tasty lunch, an afternoon coffee, or a romantic dinner in the lovely space. 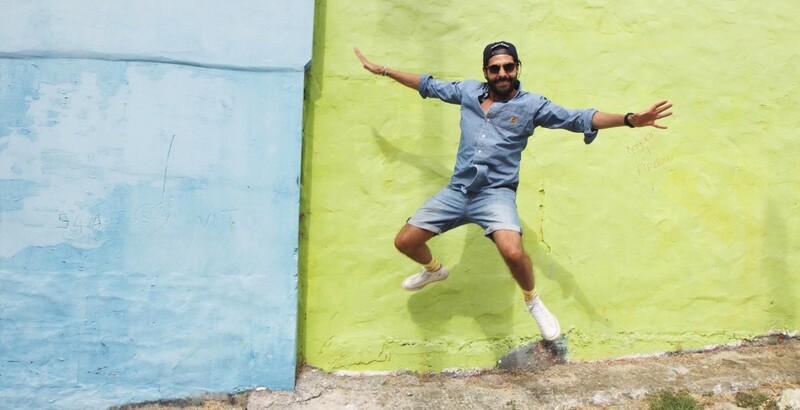 A reservoir for trendy local labels, all made in South Africa. 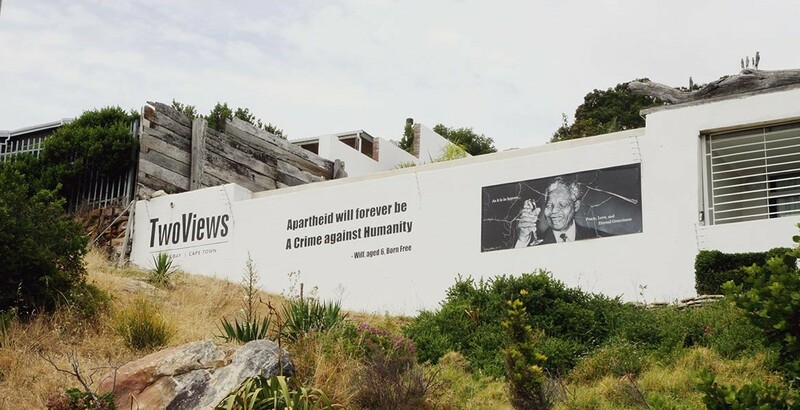 The former Malay Quarter on Signal Hill is one of the most interesting parts of Cape Town with its multicultural flair and colourful houses. Yours Truly has become to a Cape Town institution with its four shops dotted around the city. Your go-to whenever you want to grab a cup of coffee, have a relaxed beer, or enjoy a live music event. Kloof Street is one of the most eclectic and coolest streets with a variety of great cafés, restaurants, bars, and beautiful boutiques. This restaurant opened its doors in late 2013 and has become one of the hot spots in the city bowl. Apart from a daily changing menu, Black Sheep will pamper you with craft beer, great cocktails, and a well-curated wine list. Kloof Street House is a hip place with a mix of Colonial and Victorian-style interiors and a beautiful garden. Perfect for a delicious brasserie-inspired dinner or fancy cocktails. The Cape of Good Hope Nature Reserve is a must-do when in Cape Town. 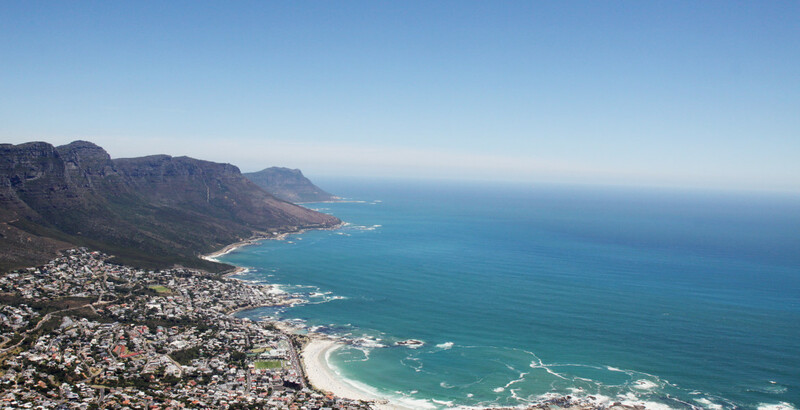 Head down to the farthest tip of the Cape Peninsula and enjoy the scenic drive. Nestled in the glens of Table Mountain, this is a great spot to unwind and enjoy some picnic-inspired food. 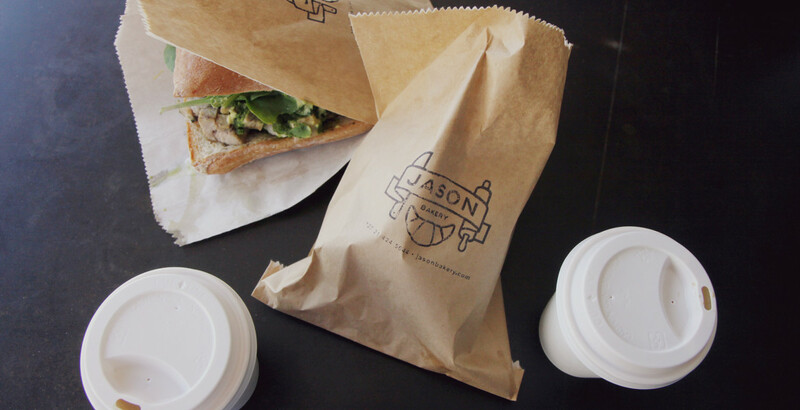 Jason Bakery offers a great selection of bread, tasty sandwiches, and great coffee. 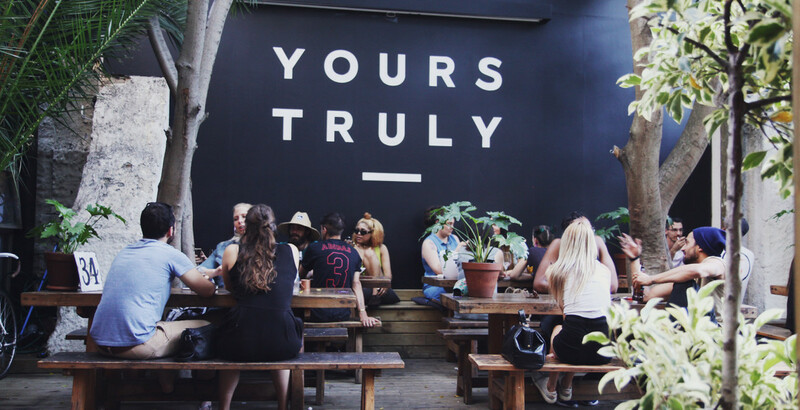 Yours Truly Café & Bar is always a good idea for a quick coffee or a refreshing beer. 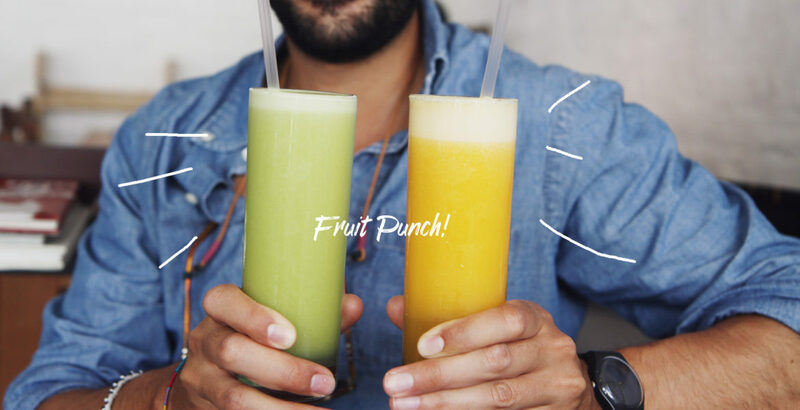 Fuel up with some healthy juices at Baked Bistro. 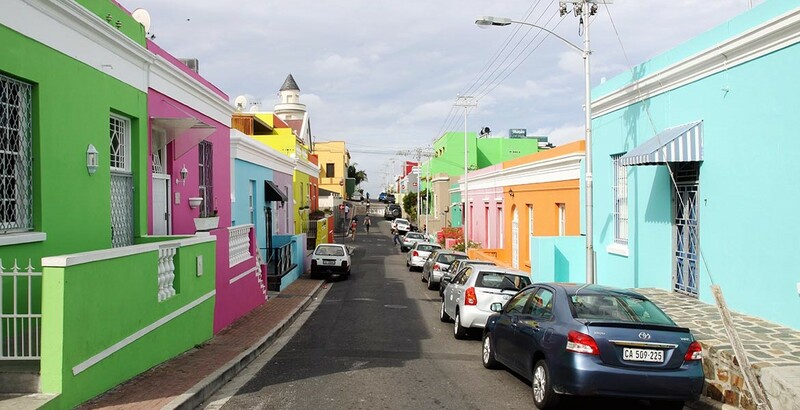 Explore the colourful houses of Bo-Kaap. 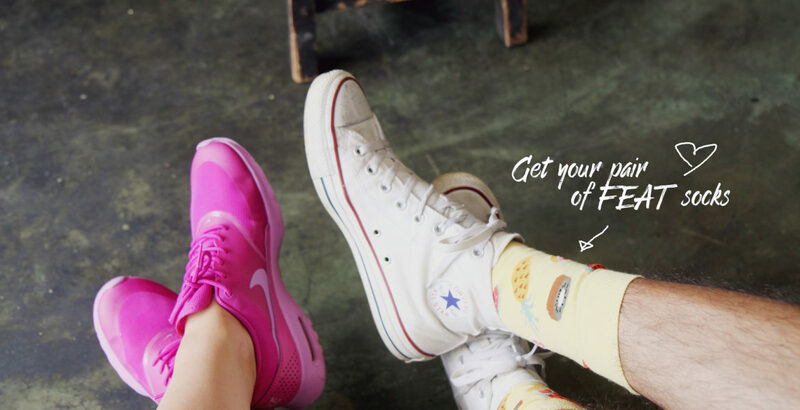 Get a pair of FEAT socks at SAM - South African Market. View from Lions Head. Enjoy and breathe in the beauty! Jason Bakery not only has great coffee, but also a great selection of sandwiches and bread. 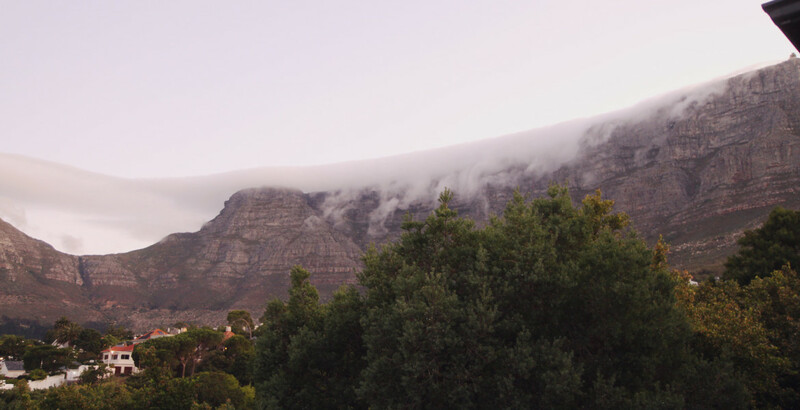 The legendary white tablecloth flowing over Table Mountain. Bo-Kaap, formerly known as the Malay Quarter on Signal Hill, and spiritual home of the Cape’s Muslim community. Jump if you feel like jumping :) Be spontaneous. Baked Bistro offers a variety of great snacks, good coffee, and energizing juices. Lézard Bleu Guest House in the middle of Oranjezicht. 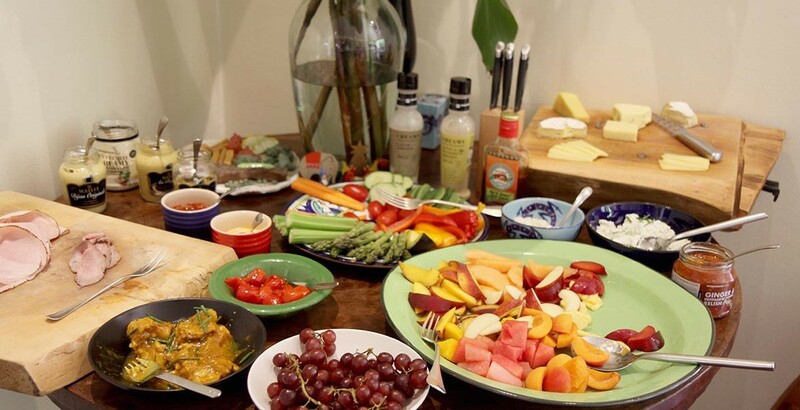 Enjoy a good breakfast with homemade delicacies at Lézard Bleu Guest House. Keep your eyes open for new discoveries. The photogenic scenery of the city, the scenic view from Table Mountain, the mix of ocean and city flair, the warm temperatures during European winter, the vibrant atmosphere of countless great restaurants and bars on Kloof street, the fantastic food, the light at sunset, the great vineyards around Stellenbosch, the Chapman’s Peak drive (open the windows & turn up the volume), the coconut bread at Manna Epicure Café, running along the beach of Noordhoek, the peacefulness of Scarborough village, watching the great windsurfers. We mostly end up in our rental car listening classic old school hip hop. 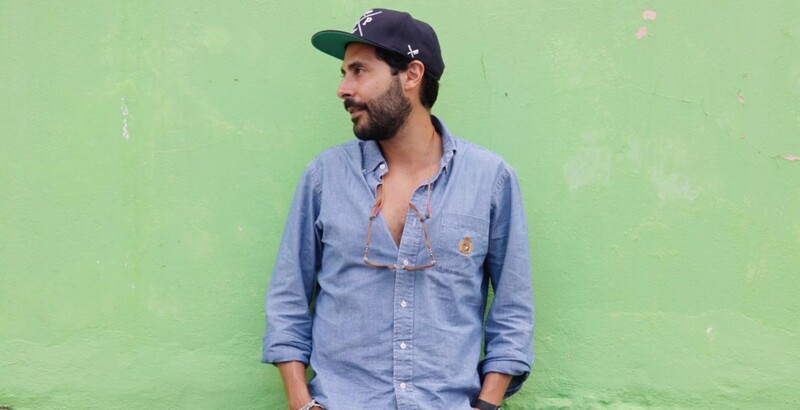 Beats like: Souls of Mischief, Dilated Peoples, Mos Def, Dr. Dre, Snoop Dogg, DJ Kool, Wu-Tang Clan, The Sugarhill Gang, Cypress Hill, Kanye West, The Notorious B.I.G., etc. Drop by at Jason Bakery for a great cup of coffee. Manna Epicure is one of our favourite breakfast spots! Top of Lions Head. Turn up the volume! See the beauty in otherness. 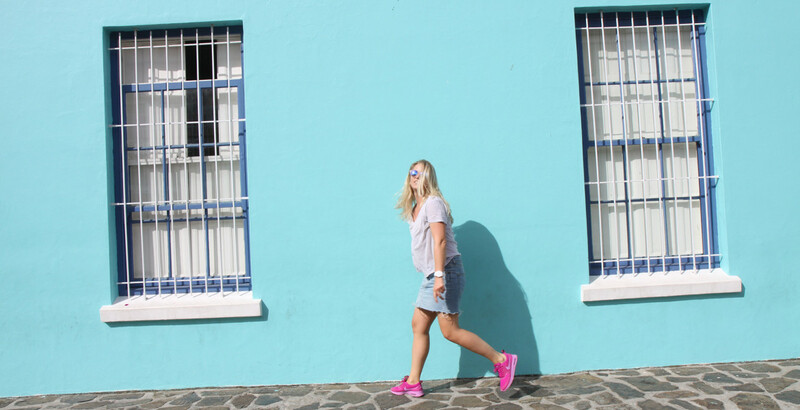 Strolling through the streets of Bo-Kaap.